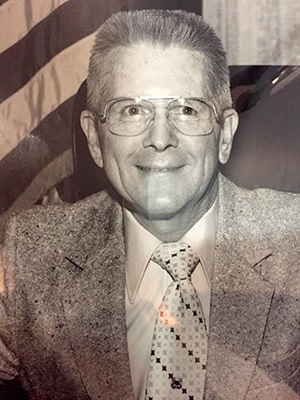 George Baily — who served La Mesa as a mayor, city councilmember, planning commissioner and parking commissioner — died on Monday, March 11. He was 100 years old. In addition to serving the city, starting on the Parking Commission in 1957, Baily also served on the San Diego County Board of Supervisors from 1984 to 1992. Current Board of Supervisors chair Dianne Jacob too to Twitter to offer remembrance for the longtime public servant. At the March 12 La Mesa City Council meeting, Mayor Mark Arapostathis also honored Baily. Services for Baily are tentatively scheduled for April 27 at Vista La Mesa Christian Church. More Best of La Mesa ballot raffle winners! Balloting for the 2019 Best of La Mesa is finished! Winners will be announced in our special Best of La Mesa issue on May 24. Until then, we are drawing the names of readers who voted for their favorite businesses and by doing so entered into our prize drawing, featuring prizes from our Best of La Mesa sponsors — Fitness 101, D’Amato’s Pizza, Konichiwa Sushi, Lamplighters Theatre, Uneeke Boutique, Centifonti’s, Yum Yum Donuts, and Little Roma — who generously donated gifts for us to award voters. We’d like to congratulate our second round of winners! Amanda Ford won a free class at Fitness 101; Kimberly Creekmore won a $25 gift card to Centifonti’s; and Tyla Rodriguez won a $25 at Albert’s Fresh Mexican Food. Thanks to all those who participated in the 2019 Best of La Mesa and helped recognize some of the local businesses that make this America’s Finest City. The City of La Mesa is currently looking for five to seven volunteers to serve on the newly formed Ad Hoc Citizen Committee on Homelessness. Applicants must live within the city limits of La Mesa. The Committee will serve as an ad hoc advisory body to the City Council on homelessness. The Committee will create a plan to articulate the role of the city, other governmental agencies and non-profit organizations with respect to homelessness. The meeting schedule will be dependent on the availability of the volunteers selected to serve on the Committee. Applications must be returned to the City Clerk’s office no later than 5:30 p.m. on Thursday April 4, 2019 to be included in the interview process. Applications may be obtained from the city’s website, cityoflamesa.us, or at La Mesa City Hall, 8130 Allison Ave. during normal business hours. Further information can be obtained from Assistant City Manager Greg Humora at ghumora@ci.la-mesa.ca.us or 619-667-1146, or the City Clerk’s office at 619-6671120. On March 12, the city of La Mesa issued a proclamation declaring March 8 as Workplace Gender Equality Day. The proclamation was given to Hei-ock Kim, the executive director of the Kim Center for Social Balance. Kim Center for Social Balance was founded in 2016 to fast-track gender equality in America’s workplaces through research, collaboration, and accountability. It is spearheading the Gender Equality Collaborative to unite communities and organizations around a nationally consistent action plan to achieve workplace gender equality in a fraction of the time currently projected. Some projections are as long as 100 years. The date of the proclamation, March 8, was chosen in honor of International Women’s Day. On Feb. 26, Grossmont High School held an informal groundbreaking ceremony to mark construction of its new performing arts complex. 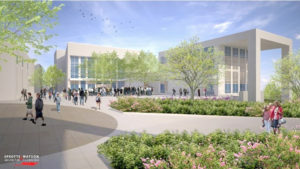 Funded by Proposition U and Measure BB, the new project is the latest for Grossmont’s comprehensive master plan and will provide a state-of-the-art facility that brings together performing arts programs — including dance, choral, digital music and drama — in a central location to promote student interaction and collaboration. The new facility replaces outdated performing arts facilities that no longer meet the needs of the campus. It will provide the school, district, and community a modern venue for workshops, conferences, and other special events. It will also serve as a boardroom for Grossmont Unified High School District trustees. When completed, the complex will include an auditorium with seating for 475, black box theater, a dance studio, choral studios, a digital music classroom, scene shop, green room, dressing room, and indoor and outdoor learning and gathering spaces. The project will include a number of green features that conserve energy and water. The $26 million project is slated for completion in fall 2020. The California state Senate and Assembly recognized California’s Women of the Year on Monday in the state Capitol, where each Senator recognized one woman from their district for their courage and leadership. Senator Brian Jones’ selection from Senate District 38 was Dee Dean of Alpine, who was recognized for her extensive record of inspirational service to the citizens of East San Diego County. “Dee Dean is worthy of this prestigious recognition because her service and her story have touched so many lives in East County. As the publisher of the East County Herald for more than 20 years and a leader in the business community, she worked hard to create opportunities for all East County citizens to prosper,” Jones commented after the ceremony. “Dee has also battled multiple sclerosis with an indomitable spirit, and she has used her experience to educate the public and inspire others facing similar battles. It was an honor to recognize Dee with this award,” Jones added. Dean has also helped build up local community organizations such as St. Madeleine Sophie’s Center and Stoney’s Kids Legacy. As part of Women’s History Month, the Women of the Year were recognized by the senators themselves during a ceremony that took place on the Senate floor during an official session. On Feb. 26, the Board of Supervisors voted to develop a community choice energy program, opening the door to a more sustainable environment and competition in the local utility market. There are now 19 choice programs in California, serving 8 million people. 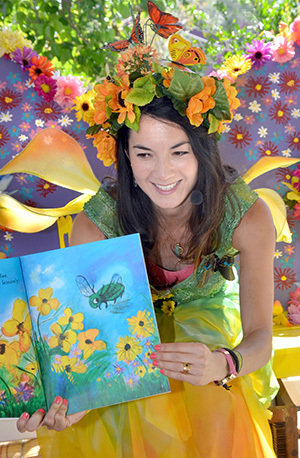 Butterfly releases, thousands of landscape and garden plants for sale, museum tours and more are on tap when the Spring Garden & Butterfly Festival returns to the Cuyamaca College campus for its 26th year on April 27. Several thousand visitors from throughout the region and beyond are expected to visit the college, which houses The Water Conservation Garden and the Heritage of the Americas Museum, and all three have planned an array of family-friendly events. Old Town Trolley Tours of San Diego will provide free, narrated rides to and from the garden, the museum and the college, and the Cuyamaca College Ornamental Horticulture Department will hold its largest plant sale of the year. Making this year’s festival especially noteworthy: Cuyamaca College is celebrating its 40th anniversary and The Water Conservation is celebrating its 20th. Both will be hosting displays recalling their histories. The popular festival has its roots in the annual Spring Garden Festival plant sale benefiting the ornamental horticulture program. It combined forces with the annual Butterfly Festival at The Water Conservation Garden in 2017. The Spring Garden & Butterfly Festival is from 9 a.m. to 3 p.m. Parking and admission is free. Cuyamaca College is at 900 Rancho San Diego Parkway, 92019. For more information, contact the Ornamental Horticulture Department at 619-660-4262, or The Water Conservation Garden at 619-660-0614 (ext. 14), or visit the festival website at SpringGardenFestival.com.